If anyone had said to me back in January 2016, “Dan, your family will have 10,000 subscribers on a YouTube channel next year that is focused towards the UK caravanning scene” I would have laughed at them from a great distance. But here is the reality: We do and we have. A thank you from me just doesn’t seem to cut this immense milestone, so the only fitting way to celebrate and mark this occasion to to hold a give away. Up for grabs are 10 prizes from brands and companies we have worked with over the past couple of years. For a full list of the prizes and more details about the competition, head on over to our YouTube channel, subscribe and watch this video. And that’s it. 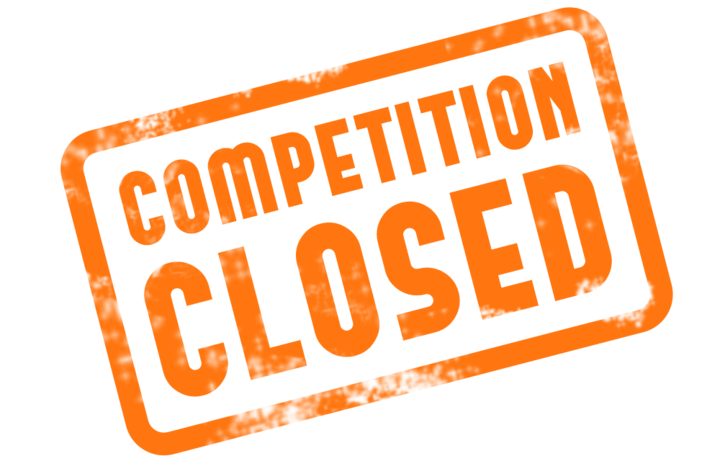 The competition ends on November 3rd and we will be selecting 10 random names from the correct entries and contacting the winners on the phone to congratulate them. Good luck, and a huge thank you for everyone who has subscribed to our channel and enjoyed our videos. Without your support and encouragement, this milestone would have never been reached. Also, a huge thank you to the sponsors of this competition with their wonderful prizes, I’m sure you will agree its quite a bounty up for grabs. So, good luck everyone, I look forward to congratulating you on the phone on November 3rd. Me and my family purchased a caravan in July of this year. Prior to this I didn’t know the front of a caravan from the rear. I started looking online for help, tips & advice and discovered your YouTube channel. Since then we haven’t looked back and we have been on numerous trips around UK in this short time. Having just viewed your ‘thank you video’, can we (the campbells) say a big thank you to you all for helping to make this such an enjoyable experience. Without your how to video’s I think I would now be involved in court proceedings, thank you. Congratulation on your 10k subscribers amazing. Ditto – we pick ours up on Friday, weather permitting. Have to drive it from Lancaster to Inverness! hi dan. won the tickets for nec show and was wondering for what day these are for as can only get there Tuesday or Wednesday. quick reply as need to book a site for 3 nights near NEC. cheers. so glad I found your channel on here, it’s been a massive help for us. We have sold our family home buying a caravan and travelling the uk . Just wanted to say thank you. We pick our first caravan up next month! I have watched your vlogs and have found them very informative, inspirational & funny and you have helped me make my mind up to invest in the caravanning lifestyle. Many thanks keep up the good work. Keep the videos and updates coming pal. Thank you for all your blogs, we are in the process of getting our first caravan Havant yet chose which to get, everything you have showed us on your blogs have been a great help and you and your family have made me laugh so much. Hi Dan! Great vlog on YouTube, and congratulations on reaching 10k subscribers!! 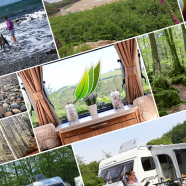 Some great tips and hacks on there to follow and I can say some of the things you’ve e reviewed have really helped me, as I’m sure they help many other fellow caravanners! Keep up the great work!! Love the vlogs mate. Great info, great reviews and great fun. Hi Dan, I have only recently subscribed to your YouTube channel and I must congratulate you and your family for putting together the video blogs…they are very informative and enjoyable to watch. Looking forward to the next on…. What about the other makes of caravans owned that are included in the question asked, but a good way the limit the entry numbers!! Hope to be at the show on the Thursday Will look out for you. Our Saturday mornings wouldn’t be the same without watching your latest YouTube. Thank you ! Thank you so much! Could watch your channel on a daily basis if it was possible! Great work! Hi dan,thanks for your patience, much appreciated my friend. .Happy caravanning! ! Hi, thanks for all your videos which have been a great help to us since we got our caravan in July. I am nearly bankrupt buying all the products you have endorsed 🙂 looking forward to our Duvalay protectors to arrive. Keep up the excellent work and we will keep on watching. Though we are Motorhome fans love this and your blog. Very helpful to all. Keep up the great video’s!! They are informative, funny at times and a great help and insight to ‘vanning life. We have had our old ’88 Abbey Somerset for a year now and enjoy it all year round. It is our 1st ‘van and after testing the waters cheaply, we will be looking at upgrading when we can afford to. We enjoy watching your video’s about new ‘vans and having a nosey about and seeing what there is available nowadays, and also the helpful hints and tips on fixing things and the different stuff available to make enjoying our ‘van a bit better. So THANK YOU….. ha ha! Good on you all! This prize would make for the most awesome Christmas present so fingers crossed. Thanks for an fantastic channel and look forward to seeing what you get up to next. Outstanding Helpfull Videos mate. My family and I are new to caravaning and have learned so much. Keep it up mate Thank You. Hi Dan, like many on here your vlogs have inspired us. Our caravan arrives in February and after a few years under canvas we’re so excited. Although we’re 71 and 68 we’re looking forward to many more years away. Thank you again.